I hope you enjoy So Silver Bright... I tried reading Mantchev's books, but they're just not my cup of tea. 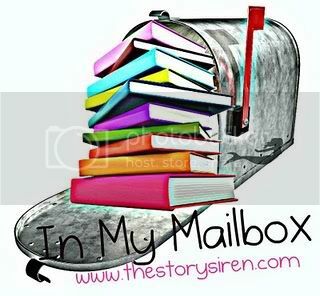 Here's my mailbox this week. Gratitude Giveaway (Int'l. ): Winner's Choice of Book from Book Depository. So Silver Bright is beautiful. I haven't heard of it. OOh nice! Love the cover art for the Harry Potter DVD collection! I'm hoping Santa brings me my copies of DVD 7 part 1 and 2! Still have to see Part 2! Can't believe I never got to the theater! Enjoy! The Harry Potter movie collection will be perfect for cold winter days!! I hope you enjoy your watching! 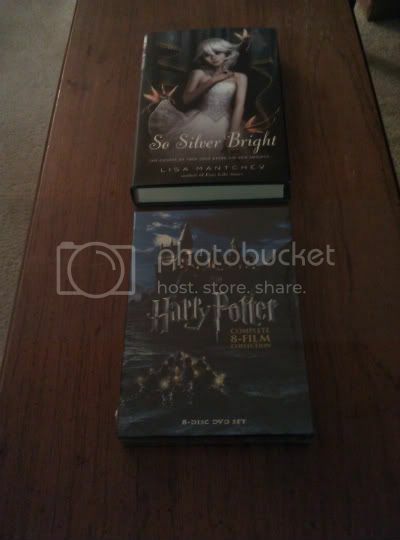 I love the cover of So Silver Bright and SCORE on the Happy Potter movies!! Great IMM! Ooh I LOVE The cover for So Silver Bright. I should really try that series out!